Kids can't go wrong with cuddly woodland creatures. 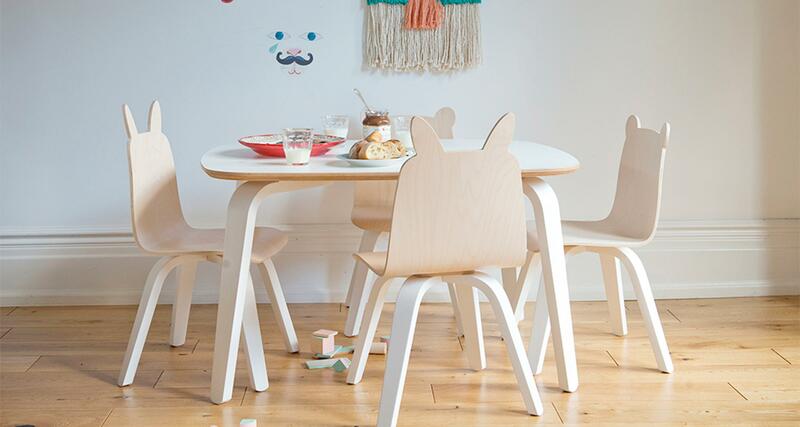 These Oeuf Play Chairs are adorable bunny- and bear-eared bent plywood chairs that are sold in sets of two. Fitting perfectly with the Oeuf play table, they are sure to inspire a bit of extra fun while your child creates, snacks, or reads in their very own, kid-sized chair. Choose between a Bear or Rabbit style. Low seat for children ages 2 - 6.